Oral health is very important to your pet’s total health. Unfortunately, an astonishing 80% of dogs and cats over age three have significant dental disease. What’s more, bacteria from a diseased mouth has been shown to be a contributing factor to the development of liver, kidney, and heart disease. At Bridgton Veterinary Hospital (BVH), we want to lower that percentage and improve our patients’ lives. Is Your Pet’s Health at Risk? A thorough oral exam and assessment under anesthesia must be performed to accurately and adequately assess and treat oral disease in dogs and cats. At BVH a pet’s dental cleaning is done by a veterinary dental hygienist trained in the special considerations of dog and cat mouths. Dr. Wheeler then performs a full mouth examination, charting any abnormalities. If intervention is necessary, Dr. Wheeler will converse with the owner to establish an individualized treatment plan for the pet. For patients requiring more advanced dental services, BVH has much to offer. Dr. Wheeler has trained under the direction of board certified veterinary dentists, and receives ongoing training in the most current dental techniques through the North American Veterinary Dental Conference. This extensive training allows us to provide an outstanding level of veterinary dentistry. 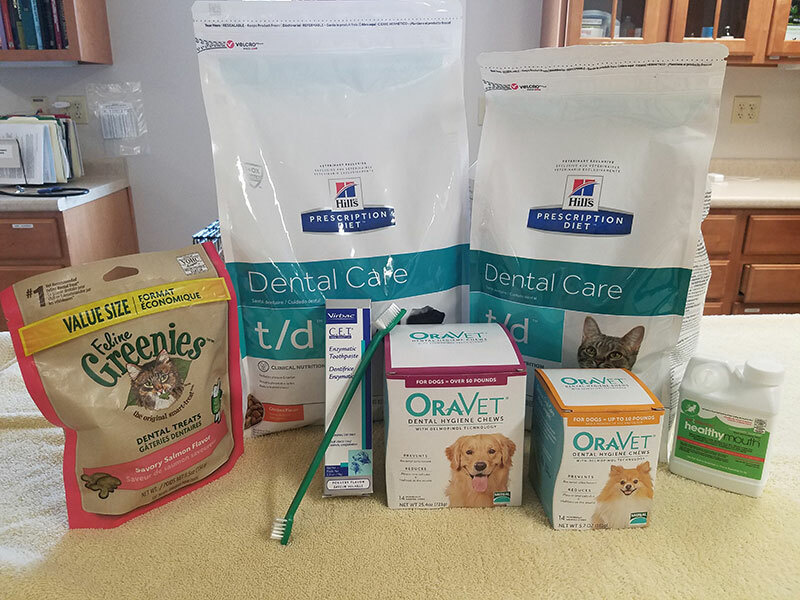 We also offer a wide variety of dental home care products, from dental diets and daily chews, to rinses and water additives. please call us at 207-647-8804.